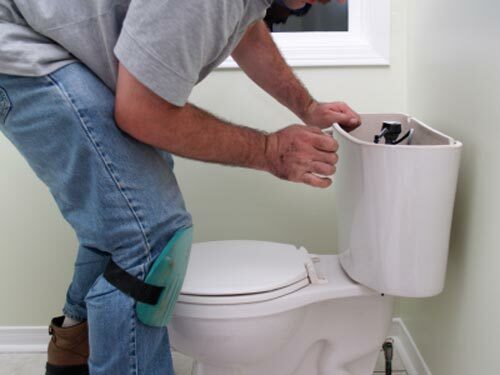 A repair could be as simple as fixing a leaky faucet or toilet, or more complex. If you notice a leak, don't let it go unfixed. It could result in wasting gallons and gallons of water and it could also mean ruining the floor, walls or furniture - your own or a neighbor's - and spending a lot of money on repairs, plumbing and otherwise. We suggest that you have a plumber check your plumbing if your water bill is unusually high - you may have leaks that you don´t know about. If your water tastes of copper, then your copper pipes may need to be replaced for PVC or another material. Southwest Florida water erodes copper and eventually the plumbing needs to be replaced. Even if you think you can unclog a drain yourself or fix a leaky faucet, a DIY system, such as a "liquid plumber" solution, used over time may end up being hazardous to your plumbing. A typical call we get is to fix the garbage disposal in the kitchen sink. Sometimes it can be fixed by hitting the reset button, to be found in the cabinet under the sink. Other times, if due to a large amount of food or matter that is too tough to grind, you will actually need a plumber to come and take care of the problem, and perhaps even replace the disposal. No matter what the repair you need is, call us and we will schedule an appointment with you. We will then let you know what your best options are, and then we´ll take care of the problem with you. Keep in mind that the plumbing of your home has a lot in common with say, your car or even your body. If you don´t maintain it regularly, one day you pay for the neglect. If you make sure everything is in proper working order on a regular basis, you will save money, time and energy down the line. A clogged drain is a hassle, but keep in mind that it does not happen overnight. Most clogged drains in bathrooms happen because of the hair we lose when showering. In the kitchen it could be due to any number of materials collecting in the drain, from rice to soap. The dangerous thing about a water leak is that sometimes you don't even know it is there. It can be behind a wall and not show for so long that it is too late and mold starts to grow. Unseen leaks can ruin cabinets, flooring, walls, etc.. And if you live in a condo, you can have a leak and not even know that you do, but the person beneath you may find out before you! It's important to see to a leak as soon as you notice it.